An assemblage of seventy-four tales, mixing memoir with natural history, cultural critique with spiritual reflection. 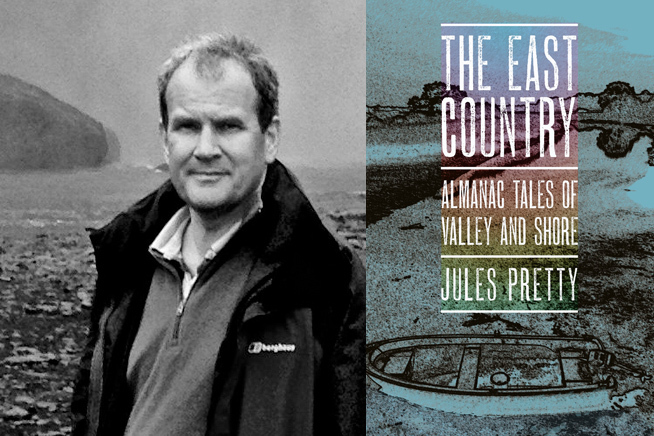 Jules Pretty takes us on a journey through the timeless but ever-changing landscape of his own east country in Suffolk and Essex. Jules Pretty is Professor of Environment and Society at the University of Essex, where he is currently Deputy Vice-Chancellor. His previous books include The Edge of Extinction (2014), This Luminous Coast (2011) and The Earth Only Endures (2007). Jules is s a Fellow of the Society of Biology and the Royal Society of Arts, former Deputy-Chair of the government’s Advisory Committee on Releases to the Environment (ACRE), and has served on advisory committees for a number of government departments and the Royal Society. He received an OBE from the UK government in 2006 for services to sustainable agriculture. This event is part of Essex Book Festival’s PLACE weekend in Colchester. Click here for a list of events taking place as part of the hub.